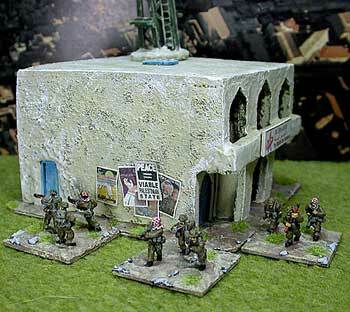 Part of a Village Green 15/20mm mosque converted into a radio station by Dave O'Brien. 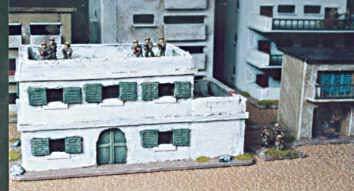 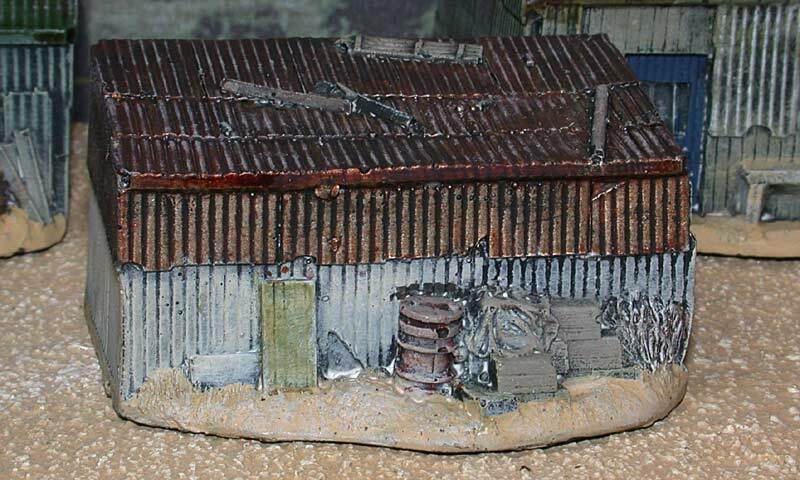 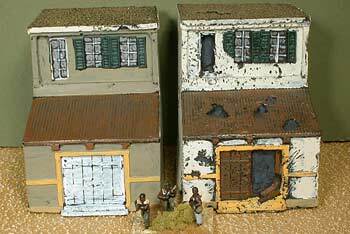 These buildings are all from TimeCast's 15mm South East Asia range. 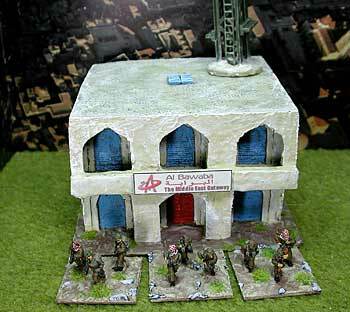 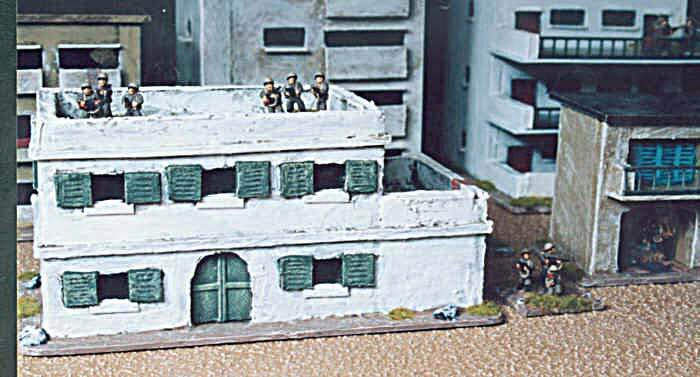 Most of the buildings in this range are ideal for AK47 games. 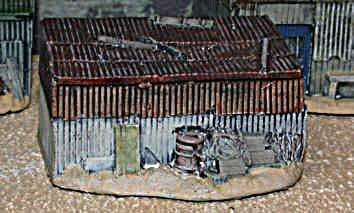 Shanties by Derek Hodge. 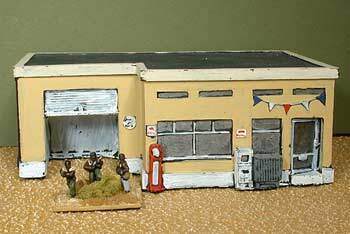 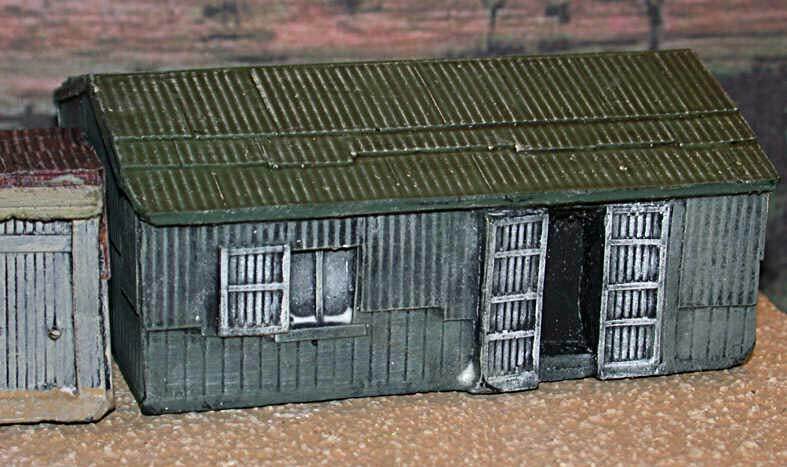 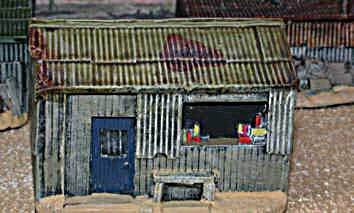 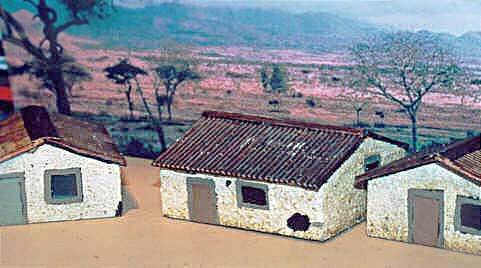 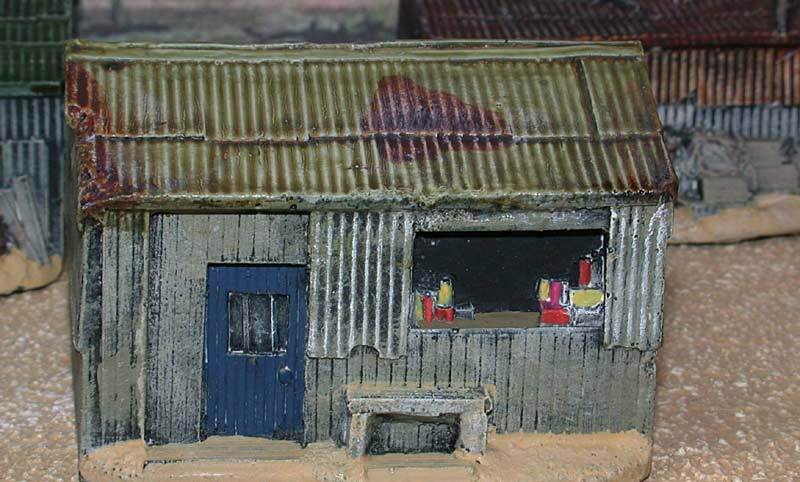 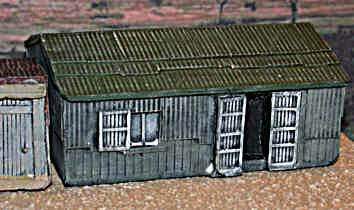 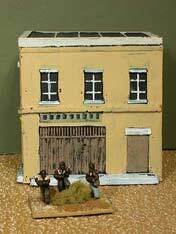 They are made from kapa board, cardboard and corrugated plasticard (available from model railway shops). 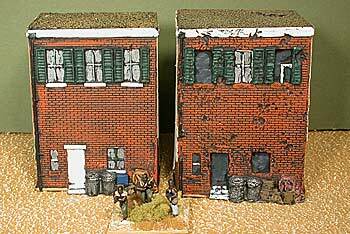 City buildings by Dave O'Brien. 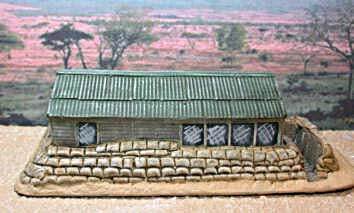 Again they are made from kapa board and cardboard. 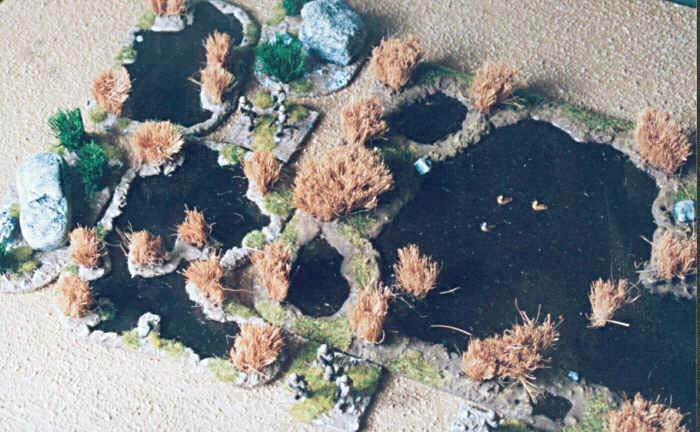 Dave O'Brien's swamp. 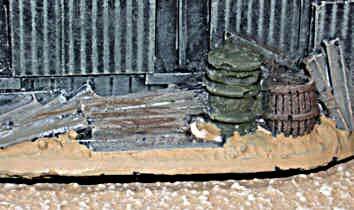 The brown bushes are made from a doormat.